Doctors, magazines and the people we love are constantly telling us how important it is to care for our bodies. Too many times life gets in the way and we don’t have a spare minute to spend caring for our precious bodies. 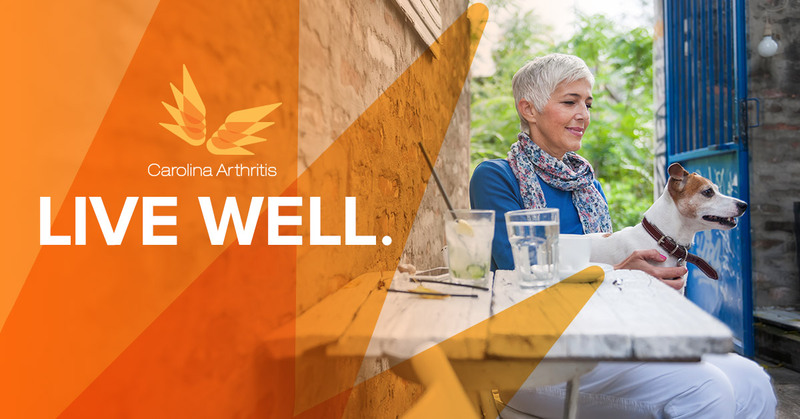 Arthritis sufferers need to make sure they are caring for themselves even more than the average person. In addition to eating the right foods and exercising, it is essential that people with arthritis are at their ideal body weight. Staying active will help with that goal, while also helping to manage arthritis pain. Regular exercise strengthens the muscles that support the joints and improves flexibility and balance. If you are not currently active, start small. Set realistic goals for yourself and begin with a 20-minute walk four times a week. Warm baths are one of the best ways to bring immediate relief to sore joints. Heating pads, heat wraps and paraffin waxes are also good approaches to treating affected areas. Alternate warm and cold, especially if there is swelling. Leave the affected joints in warm water for five minutes, then switch to cold water for five minutes. Ice massages and cooling topical creams and ointments are also a big help to arthritis sufferers. For the optimal ice massage, you’ll need a large piece of ice. Apply the ice gently and massage in a circular motion. Focus on the affected part of the body, but limit the massage to five minutes at time. Repeat two to four times a day. Many emotional and mental treatments can help ease the anxiety associated with arthritis pain. According to the National Institute of Health, studies show that the practice of mindful meditation is extremely helpful for people with painful joints. Yoga is perfect for people with arthritis, as it helps with a peaceful mind and is a low impact way to keep your body moving. Try a new form of therapy. The ancient practice of Acupuncture can help reduce pain and improve body function in people with arthritis. Along with ice massages, other forms of massage have been proven to help arthritis sufferers. Swedish massage can help with stress relief and relaxation, while deep tissue can provide relief with deep knots and tension. At Carolina Arthritis, we offer infusion therapies. Biologic therapies are important in getting control of your symptoms and preventing long-term joint destruction, deformity and disability. Everyone needs fatty acids in their diet, however people arthritis need even more. If you are not getting what you need from your diet, it’s important to research and find a fish oil supplement that works for you. Other herbal supplements that are known to help arthritis pain are ginkgo, stinging nettle, devils claw and boswellia. An arthritis diagnosis does not have to mean a limited quality of life. Although it may take some trial and error, there is a pain management program that will work for you. Always consult your doctor before beginning any pain management program. We at Carolina Arthritis are always here to help with any questions or concerns. Contacts us today and we can figure out together the best way to manage your pain! Head over to Facebook and let us know what pain management programs work for you.